For medium and large scale industries, procuring materials has always been a large scale operation. When it comes to procuring goods and services, the traditional business route is to order in bulk. From the manufacturing point of view, this helps save on cost per unit of output as the scale of the order is increased. Customers also benefit due to the same reason, as placing a large order gives them the leverage to negotiate for low prices. How would online procurement then affect what is already a profitable exercise as far as mass procurement of materials is concerned? The underlying principle of automating the supply chain command is to not only reap the benefits of ordering supplies on a large scale but also bank on the operational efficiencies that will eventually help both the buyer and the seller. Economies of Scale call for increased operational capabilities with increasing size. Manual division of labor earlier helped meet these challenges sufficiently, but with a less than beneficial return of investment (ROI). The reason being, the profit margins with bulk procurement were dented significantly due to increased labor requirements on the manufacturing side. These added labor costs would also reflect in the overall cost to the customer. However, today, with automation of production lines, the number of steps in the production cycle is more or less the same and rarely changes with increased production. For most manufacturing facilities today, the labor requirements are not influenced significantly by large scale orders because the processes are automated. Therefore, attempting to increase economies by increasing the scale of production is a futile operation. The crucial aspect of adopting online procurement is to improve the flow of service from the time the order is placed to its eventual delivery to the customer. 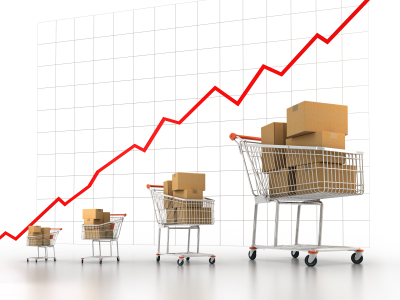 Online procurement has the advantage of converting impending running costs (operational costs) into fixed costs. This allows the suppliers (sellers) to reduce per unit costs when manufacturing goods on a large scale. Online procurement also helps buyers keep a tab on existing suppliers and necessitate bids among them. This reflects on the buyers’ ability to procure goods and services at the best possible rates from competent manufacturers. In a nutshell, one could acquire the best deals at the best prices without compromising on quality. SutiProcure is beneficial in automating and accelerating the procure-to-pay cycle fundamentally for this reason. The crux of increased revenues is to focus more on the operational efficiencies that help meet the customer’s demand in the case of large orders. SutiProcure helps attract enough suppliers when the procurement volume is significant. This online purchasing software helps buyers reduce additional costs when procuring goods and services on a large scale.